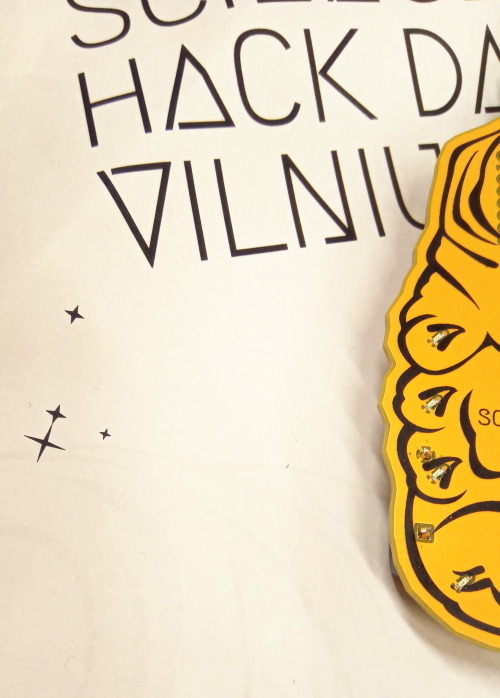 Sneak peak at Science Hack Day participant badges! This year, we will have electronic hackable badges for SHD participants – they will feature a WIFI-enabled microcontroller and MicroPython – you’ll be able to use them as a basis for your hardware projects! A laptop with Linux, Mac OS or Windows and at least one free USB port. If it’s Windows or Mac OS, make sure to install drivers for the CH340 UBS2TTL chip. You will need a terminal application installed. For Linux and Mac you can use screen, which is installed by default. For Windows we recommend PuTTy or CoolTerm. Design by Ieva Marija Dautartaitė and miceuz.